Mini projects #3 – Finished! Over two months ago in February I posted on this mini project I had, painting up six miniatures for the Frothers Salute 2015 game – Return to Castle Frotherheim. I’m happy to announce that while I haven’t much reported on them, they did eventually get finished the night before my flight to London. With Salute now behind me, this post is a look at how they turned out. 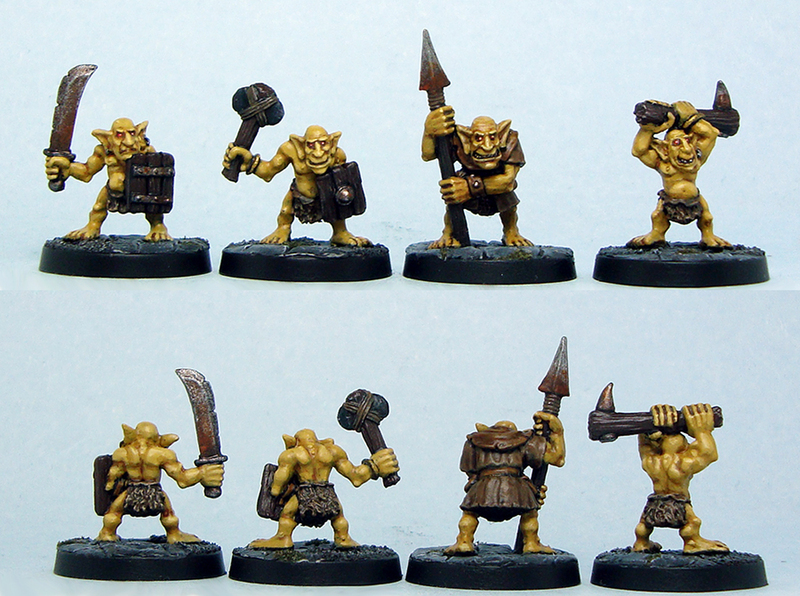 They saw action in the Frothers game, got plenty of nice words and the goblins, bought ages ago in Orcs Nest returned to London, finally painted. I also painted a few old treasure piles from Mithril’s old (1988) Smaug set, but those are all but impossible to photograph without them looking absolutely rubbish. It was fun putting in more effort than usual, and I hope the models show it! 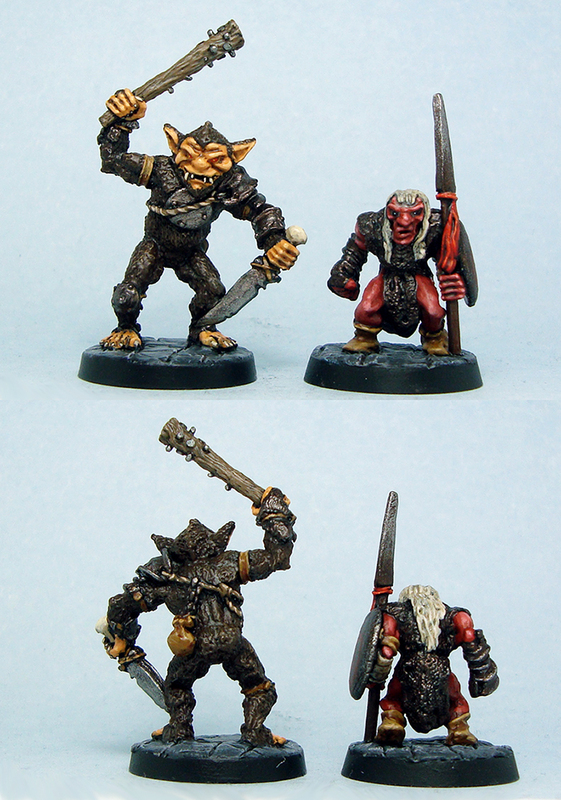 The bugbear was a bit of a rush job, being the last one finished. All in all I’m still very happy with them. Painting a mini project like this really suits me, as there isn’t an overwhelming amount of miniatures to paint or a ton of scenery to construct. It was also fun painting stuff using different colours compared to my usual palette – the red skin on the hobgoblin type is a good example. By the way, this was the first time I ever painted while watching television. I always figured that it would be impossible, but it turns out that competitive games of Counter-Strike: Global Offensive and episodes of American Horror Story provide a good backdrop to painting, especially when blocking in initial base colours. These models bring my painting count this year to a total of eight! As for the other mini project, that has been pushed further along into the future. Fear not, I’ll talk about it eventually. Oh, and Salute 2015 really re-lit the hobbyist in me, so expect the blog to be updated a little more often in the future.